I love seeing the creative process in work… You know, all the steps that got someone to the final product (or idea) that finally got shared with the world? So I thought it would be fun to share part of my own creative process with you… like how I got to the final book cover that we landed on. Something about the water just didn’t work, and I think seeing this cover caused me to start to wonder about the title. It just wasn’t sticky enough… So back to the drawing board. SALT + Gobstoppers: Using Your Creative Gifts for Maximum Impact in the World. 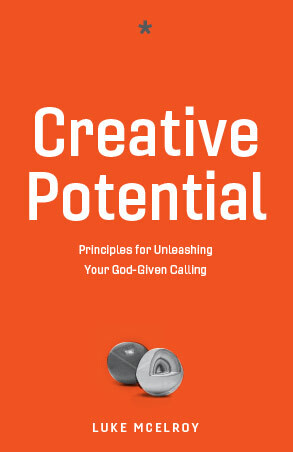 Potential: Using Your God-Given Gifts for Maximum Impact. 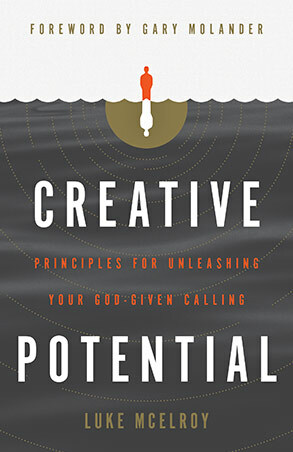 Maximum Potential: How Your God-Given Gifts can Change the World. 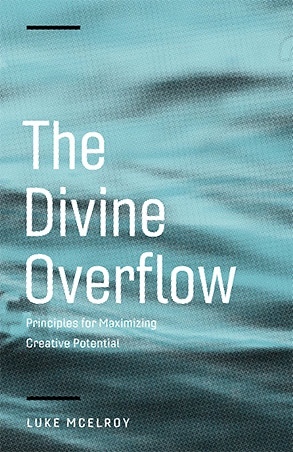 Becoming SALT: 4 Dimensions of Creative Divine Potential. 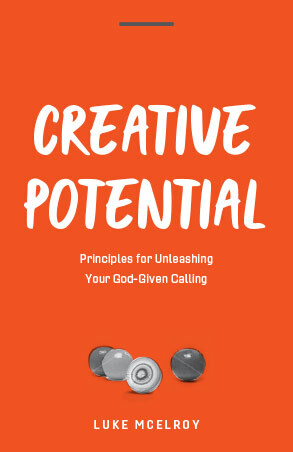 The Proverbial Gobstoppers: Maximizing Your Divine Potential in God’s Kingdom. 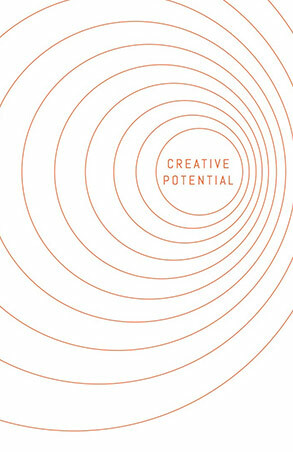 Purpose and Potential: Seeing your Creative Gifts in perspective of Eternity. 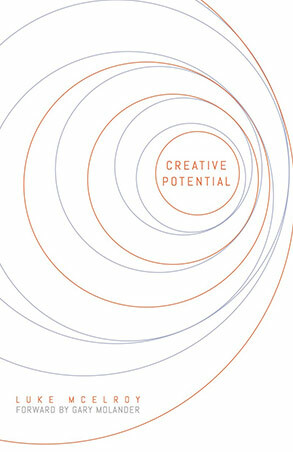 Harnessing Your Potential: Kingdom Knowledge in Creative Context. Exactly… None of them were the one. Now that we had a title, this is what we came up with. I’m sorry, but it was just cheesy. However, I did like the minimalism, and of course there was a lot of orange. So we fixed the font. Much better! But it now seemed too simple.. and the “gobstoppers” in the bottom… well they looked like marbles to me. It just didn’t feel “creative enough” to me. Wasn’t that Apple or Crate & Barrel design that had lots of breathing room, space and modern style. So I said… lets just strip it all back. Hmm… Now that’s not bad. But it was too simple. And as odd as it was, I felt like it was too much orange. But I wasn’t ready to admit that. Instead, I told our designer to start from scratch. Lets not do a single thing I cared about. 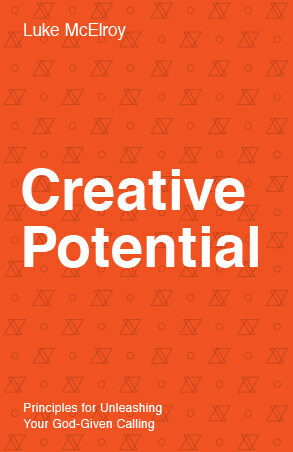 Try a design without orange. And maybe change every other aspect. And that’s the first design I saw that I genuinely liked! This is why I loved Jacob. 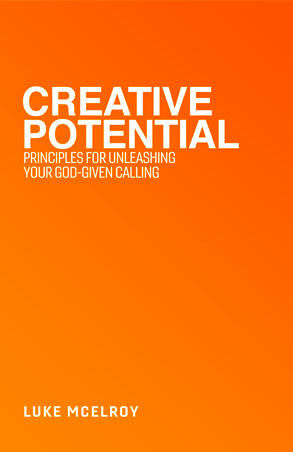 He’s got a gift in just creating great stuff and seeing a vision. The problem, as I looked at it over and over..
was that it felt more like a mystery fiction novel than a book that would spark creativity within those who read it. So, I called Nick and Sarah Rivero. And I actually really liked this concept! Nick had just unlocked the right direction! 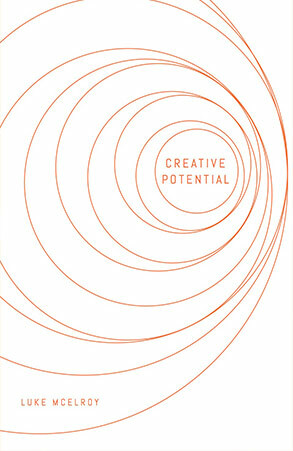 We worked through probably 20 different designs… I loved the circles, the simplicity…. and of course, THE ORANGE! Here were some of the variations as we talked out the meaning, the details, the circles, the colors, symmetry, hierarchy, etc. and then I took the concept back to Jacob. Where he put the final touches on it, and polished up the concept. He simplified the cover just a tad. And there it is! What do you think? I mean… It’s near perfect to me. The circles seem to have this kinetic potential energy as they bounce around within one another. 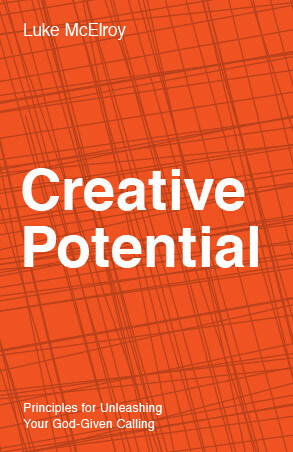 They’re also have a somewhat random nature to them, which shows the uniqueness that each of our own potential has. And then there’s the four orange circles… representing the for core layers of the “Gobstopper” I use throughout the book. And it’s got white space. The title, Subtitle and everything else, are just perfect! AHH! I can’t wait for you to see this beauty. 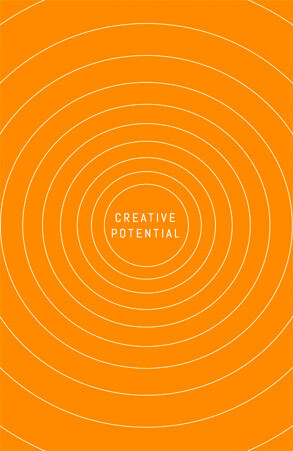 There you have it.. the final cover to Creative Potential! And the journey that got us there. P.S. 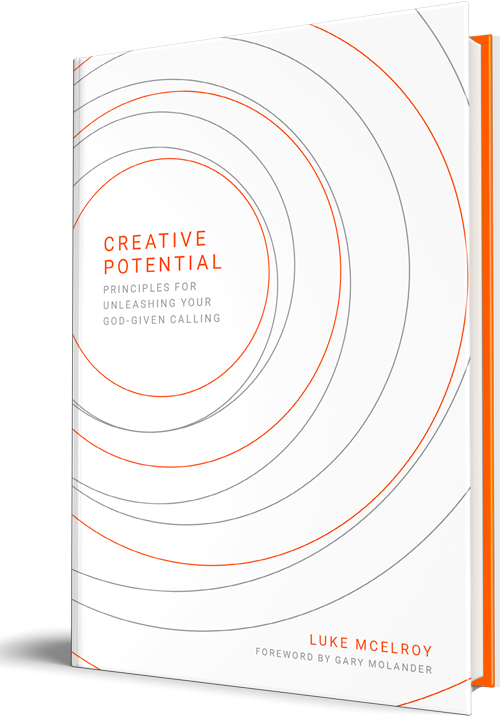 Other exciting news… if you are ready to pre-order one (or 100)… you can right here! It’s officially on Amazon!